Many of us don’t pay much attention to our lofts except when we need to retrieve the Christmas decorations or big suitcases. But your loft could be the key to adding extra comfort, and value, to your home. The most obvious reason to extend upwards into your loft is to add another bedroom to your property. A loft conversion is well suited to being used for sleeping space as it is above the existing bedrooms and away from street noise. In some houses, the only way to create a proper staircase to the loft is to shrink one of the existing bedrooms. In extreme cases, you are left with a large landing which could be used as a study or workspace and the bedroom count doesn’t increase. You can still improve the value of your home by using the space to create a new master suite, with a spacious and grand sleeping area, walk-in wardrobe and en-suite bath or shower. With modern construction materials and plumbing it’s possible to create quite a large usable space in the roof space of most houses. 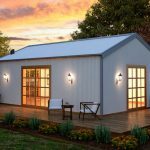 And whilst most will want to use it as a bedroom, it would even be possible to fit a kitchenette offering the possibility of a rental income – or somewhere for grown-up children to live while they look for a nest of their own. Whilst recent estimates have suggested that you can add as much as 20% to the value of your home by extending upwards a more realistic value would be adding 10-15%, depending on the amount of space actually created and whether you fit a bathroom or not. 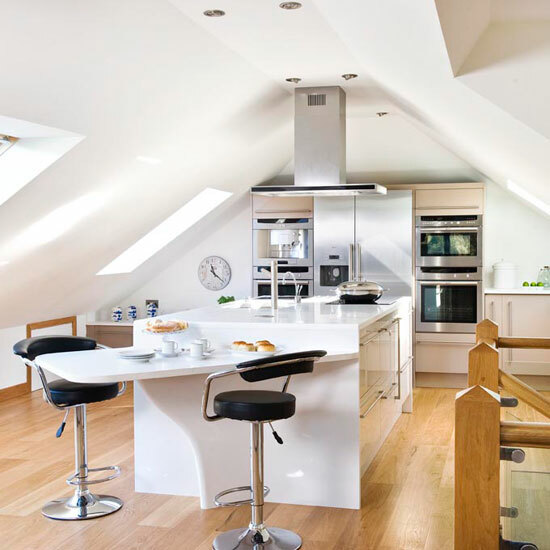 The actual cost of a loft conversion varies, depending on the complexity of the task and the quality of the finishes selected. It is likely in some cases that overall cost will balance the value added, especially if you factor in moving costs such as solicitors’ fees, stamp duty and removal costs. 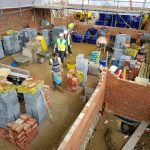 If extra space is your prime motivation then don’t forget that while building work can be disruptive it is nowhere near as disruptive as moving to a new house and you shouldn’t need to leave the property whilst the work is in progress. You probably won’t even need to apply for planning permission unless the permitted development allowance has already been used or you live in a conservation area. Why not get in touch to find out more about how you could use your loft space more creatively? Great to find this article. It helped a lot. Thanks for sharing such a valuable knowledge. Thank you for the feedback Wiktor. We are glad it was of use to you! Check out our youtube channel for more valuable content! the future, I learned a lot.